We maintain gardens and transform properties. Your garden is the first thing prospective buyers will see when they get to your place. You need to make a good impression from the kerbside. Our team of hardworking gardeners will ensure that your grounds look just so in time for the photographer. Find out more about how we can brighten up your whole property. Householders, tenants and landlords use our comprehensive gardening service to keep their gardens well-maintained. We can arrange for a rapid response to get your job done quickly, or schedule regular garden upkeep. Our team includes qualified gardeners and arborists experienced with garden clearance and tidy-ups, and we’re also passionate about creating garden designs and landscapes. Don’t have the time to maintain your property as often as you would like? Don’t have the equipment you need to get all the jobs done? We’ll do your garden when you want it done. We also have all the gear, and it’s in the hands of qualified, safety-aware gardeners. No job is too big or too small for our hardworking gardening team - we’ll be able to sort out all your garden grooming needs. We’ll dispose of any green waste, and process offcuts to provide a supply of mulch. 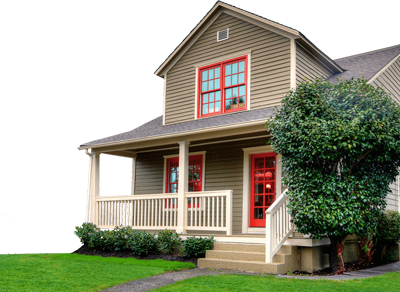 We’ll provide garden maintenance and tidy up services for your rental property. This might include clearing, lawns, tree pruning, and fence repair. Keeping your garden tidy will ensure your property is popular with prospective tenants. From facelift to upkeep, from garden design to landscape installation, we’ll help you create and maintain the environment you desire.